We observed one illustration of ghrelinâ€™s power. A mouse was injected with the hormone. Just 15 minutes later, he was absolutely wild for food, even though heâ€™d already eaten enough to be full. The hormone also made food more memorable. Volunteers better recalled the food pictures after they got the hormone, and an area of the brain involved in memory lit up when subjects viewed images of food. Several pharmaceutical companies already have their sights set on ghrelin, as drugs that block the hormone may quell hunger and fight obesity. I’m not so sure the pharmaceutical companies are setting their sites on ghrelin just to help us. What if they were double-dealing? What if drug companies sell us pills to block the hormone and at the same time, sell the hormone to fast food companies? The minute you take a bite of your hamburger, your appetite for food increases until you cannot stop eating. Since ghrelin isn’t regulated, a fast food restaurant that wanted to sell more food could easily turn it into an additive in their hamburgers or donuts, essentially “addicting” people to their food. Or making them hungrier so that they buy more. My paranoid mind convinces me that something like this could already be happening. When I eat whole foods from the grocery store, my appetite is satiated far quicker than when I eat processed food. What is it about processed food that makes me want to eat more? Is it more digestible? Has it been specially formulated to taste good? It’s not like grocery food would be safe either. 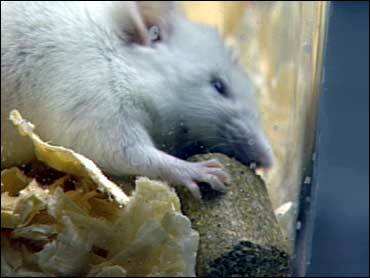 Fresh meat, cheeses and vegetables could be infused with ghrelin, causing that insatiable hunger as well. In the future, we might have to go back to raising and killing our own food if we want to be healthy. It’s amazing the amount of fast food that we ate when the kids where younger, running from one activity to another. Lifestyle has much to do with eating processed foods. Simplifying life is a great help. Slowdown, eat ‘slow food’ and enjoy it more. I never touch fast food, this is pretty gross. This makes me not want to eat junk food anymore. This is another reason why we need to eat healthy and be VERY careful with what we put in our mouths and diets. You ask a very interesting question: “What is it about processed food that makes me want to eat more? Is it more digestible? Has it been specially formulated to taste good?” The answer is yes yes yes. The big culprit here IS a hormone – it’s insulin (which also works in with thyroxin and ghrelin in a complex manner, mediated by endocrine glands in the brain and neck). The ‘starch industry’ makes food cheaply, sells it expensively, and relies on the fact that it is naturally addictive (compounded by other stimuli like fat and salt). Refined starch stimulates high insulin soon after consuming it. Fast food companies don’t need to add ghrelin – it is a natural secondary consequence of the insulin-thyroxine cycle that your body mounts in response to the intake of highly refined starch that spikes your blood sugars. Any dieter will tell you, fries, potatoes, white bread, white rice, white pasta, crisps, cookies and corn snacks are what they often crave, and these in turn stimulate the appetite, via insulin, not long after they’re eaten. There’s a simple rule for good health – eat food that is recognizably connected to its origin – it should look like its original form, (be it meat, fish, milk, grain, fruit, vegetable) not like something extruded, denatured, pulverised or injected with oil (or hormones) in a factory. i had my throid treated w/radioactive iodine in 1980 for hyperthyroidism. Todate, last ultrasound showed my thyroid is barely there. My metabolism is running 18 percent higher. Consequently, i have abundant energy and my is 116#. I was 142 three years ago. The Dr keeps lowering my Synthroid.. And now i’m not feeling so hungry. I want to gain about 10+ # .Any ideas what’s going on?